Just prior to my post, Marth of Marth’s Anime Blog discussed “Stealing Hearts with the Phantom Thieves in Persona 5.” Please be sure to check it out! Experiencing the world of shinobi through Boruto’s eyes has been a playful and troubling experience—playful because of his personality and circle of friends, and troubling with the unrest simmering beneath the surface. There’s never been a more peaceful time for Hidden Leaf Village. The next generation of ninja have never wanted for anything, only knowing peace and prosperity. As relaxed as the aspiring shinobi and his friends seem to be, it’s almost easy to forget the opening sequence of the very first episode which showed us the village completely destroyed. 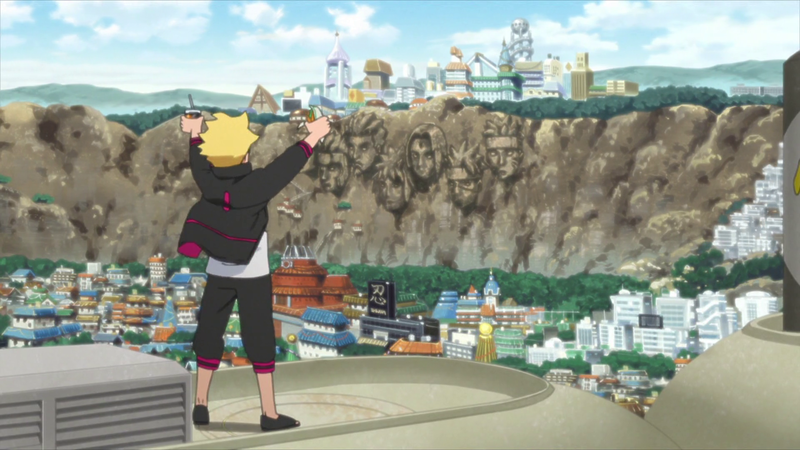 The bulk of the story as we see it takes place in the past sometime between Naruto’s claim to the Hokage title, but before Boruto becomes a full-fledged ninja. As far as the Hidden Leaf Village has come over the many years and after the Fourth Great Shinobi War, there is still much to be improved. Communication must be encouraged between all members of the populace, as well as between the Shinobi villages—some of which still struggle with internal strife. Places like Hidden Mist village of the Land of Water gives us an example of people who yearn for a revolution worthy of their former title of “Blood Mist.” To them, the currently maintained peace is nothing but a show of weakness to the other lands, as well as a peace that sacrifices the honor of their families. 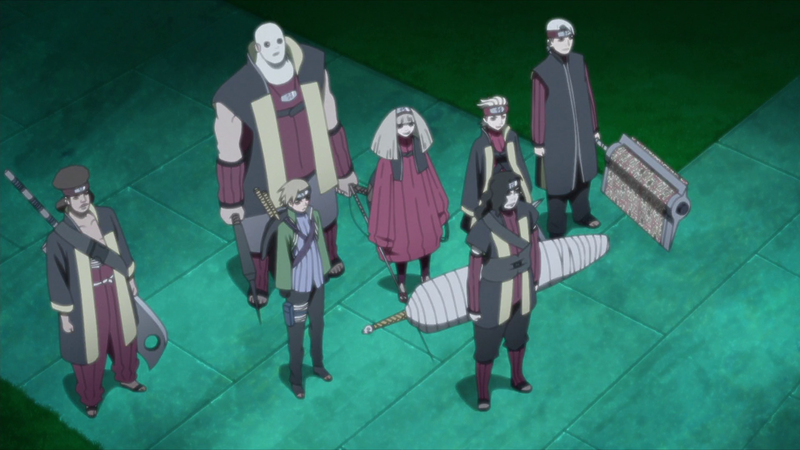 For further background on the Great Shinobi Wars, look no further than Zeroreq011’s piece, “From Naruto to Boruto: How Loss and Vision Brought Peace to the Ninja World.” These wars led to the Shinobi Union of Boruto’s time, an alliance that prioritizes peace between nations and relies on one another for support in times of need. 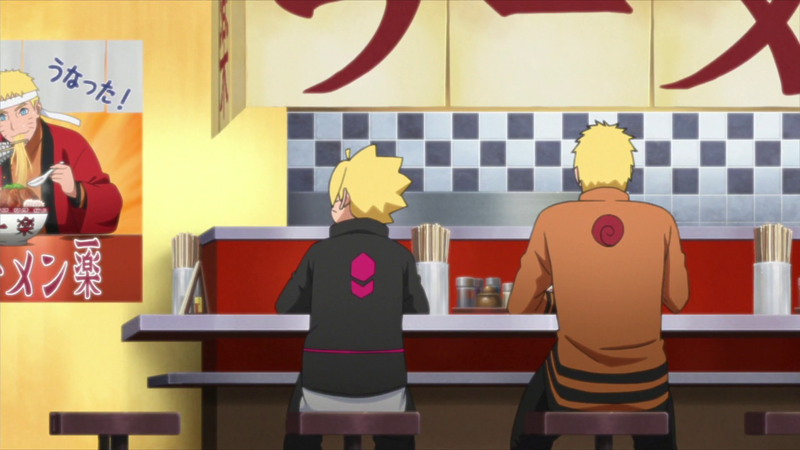 What young Boruto, Shikadai, and the other students don’t yet realize is the constant work put into keeping their reality the way it is; we see it, with Naruto’s home absence and overstretching of his workload. We also see the world outside of Hidden Leaf Village, like with Hidden Mist, as well as within the Land of Fire where some rural communities suffer from poverty and lack basic resources. Episode 43 is the starting point of the Byakuya Gang arc. They use the understandable frustrations of a remote village as justification for their theft within Hidden Leaf. Their Robin-Hood-esque actions to help Konohagakure unsettle both Boruto and myself as a viewer. 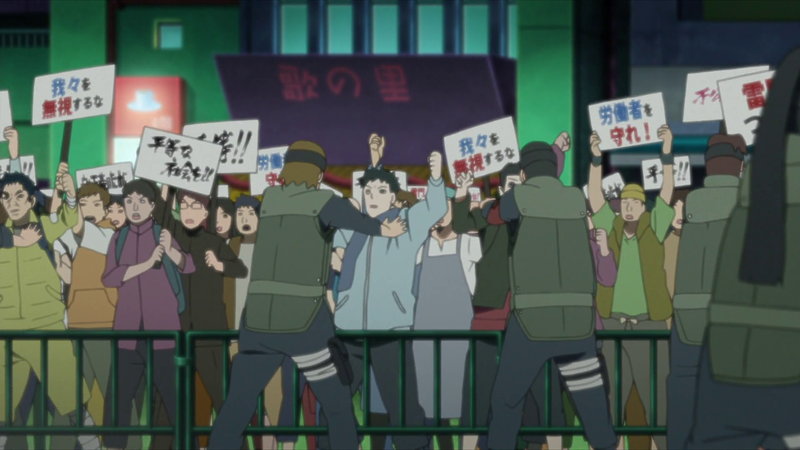 What path should Boruto have taken—capture the culprits, then demand repayment from the impoverished for knowingly spending what wasn’t theirs, as well as disciplining them for working with known criminals? Or was Boruto right to look the other way? My gut instinct is to take the side of law enforcement: condemn the act as theft, then work together with authorities to bring aid to the village as soon as possible. 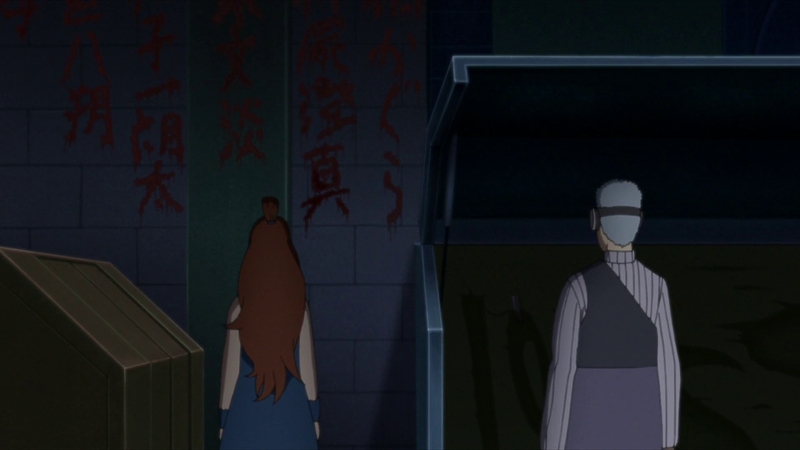 We even see the difficulties facing the Seventh Hokage within the city in episode 46, “Go! 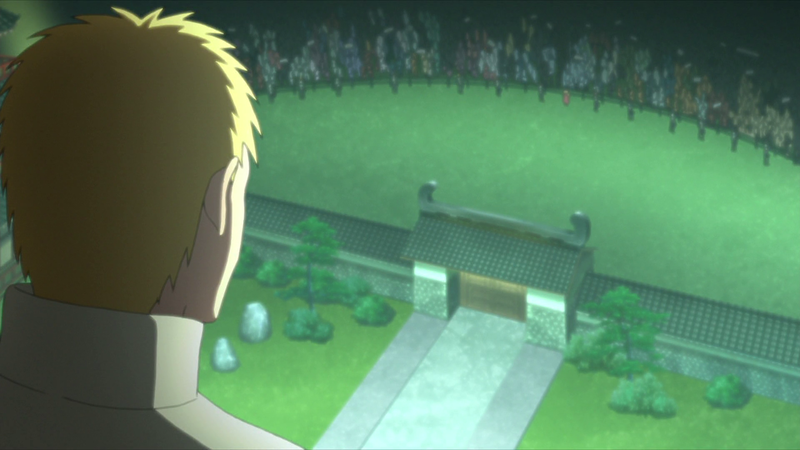 The Crest of Night Strategy.” While the protest against Denki’s father’s company, Kaminarimon Company, is encouraged by Byakuya Gang’s mind control jutsu, the opportunity was there for the taking. They tested the waters earlier with a fired game company employee who thought his last resort was blowing himself up; they were able to manipulate him without even using jutsu. It wasn’t as if the gang created something out of nothing. The disgruntlement was there no matter how much we might like Denki and want to think the best of his family. The same can be said of the village as a whole. 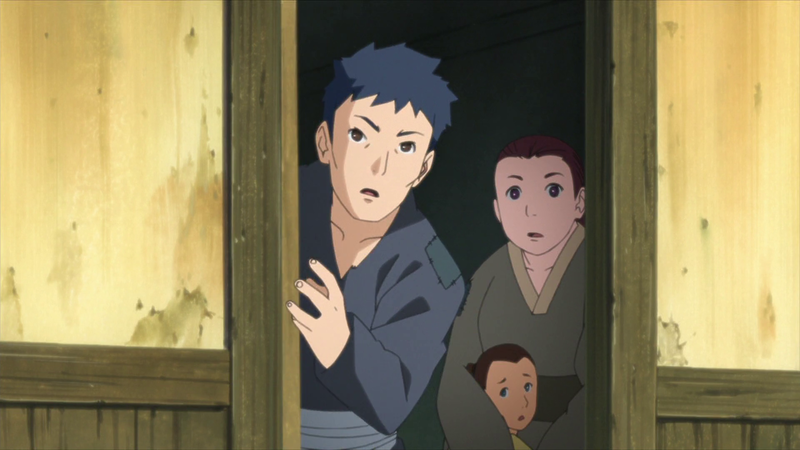 As much as we love Naruto and everyone else who worked to bring Hidden Leaf to the era of peace and prosperity we see in Boruto’s childhood, there are still plenty of areas in need of care and attention. 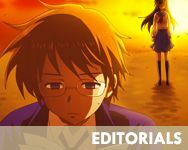 With so much having changed on the surface, the question repeatedly asked from the very beginning is whether or not this is still a time for shinobi. Have they lost their purpose? Or are there aspects and lessons from the past warring periods that still pertain in this time of peace? The enemy may no longer be anything as flashy as other ninja, but something far less obvious. Boruto still has to learn that maintaining peace is just as and often more difficult as going into battle. The Hidden Leaf of today is about to enter the next phase—our next generation of shinobi, along with all the adults who shaped the era of peace to what it is now, will have to again fight to hold on to their way of life. When we do revisit that vision of the future shown to us in the first episode, we will once more confront the role of the shinobi, and will continue to do so up to that point and long afterward. For what it’s worth, I think there’s never been a better time than now for ninja. Their time isn’t over and likely never will be. Are you watching Boruto: Next Generations? If so, please let me know what’s been catching your interest most in the anime. If you aren’t watching it, what are you waiting for? 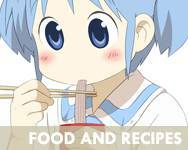 Head on over to Crunchyroll and catch up! Great post! This anime was a perfect choice for the Movement tour. I didn’t finish Naruto, and haven’t started Boruto either, but it sounds interesting. 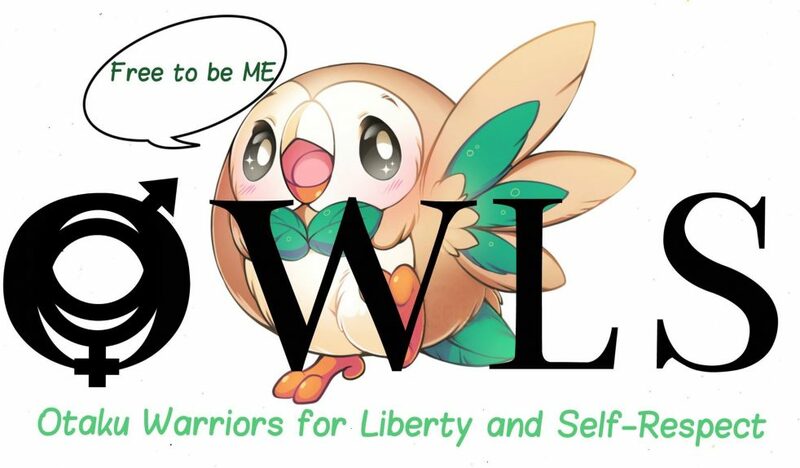 A bunch of warrior descendants fighting to maintain the peace that their warrior parents established? Very interesting and complicated! Thank you! Boruto was kind of the obvious choice from this season since it took such a literal approach to movements, and I’m surprised no one else wanted to cover it. Granted, the subject only covered a couple of episodes, but the effects can be felt all over the series. I hope you do give the show a try some day. It might have occured to someone else who already had a show in mind. Who knows. Haha I’m glad nobody else claimed it, though, because your post was fun to read.